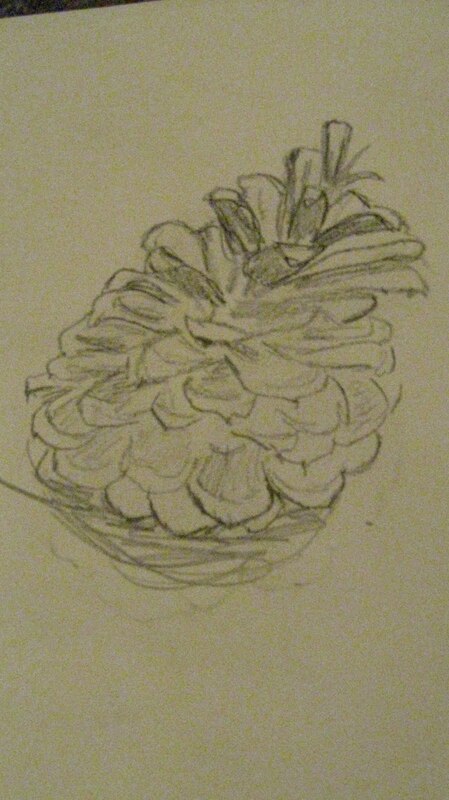 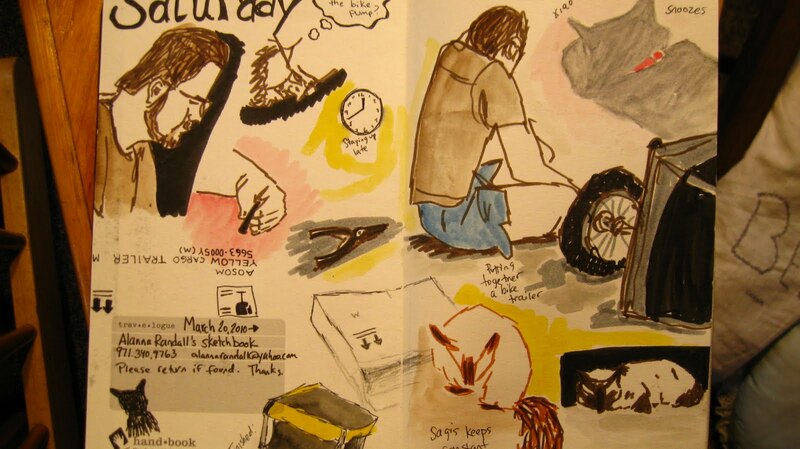 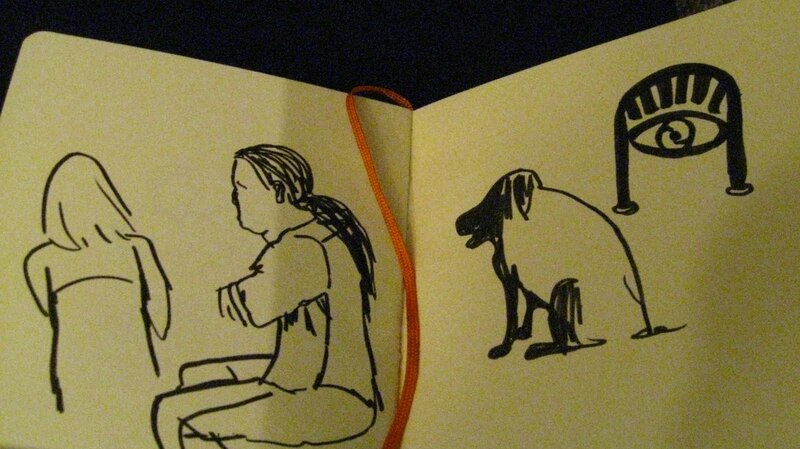 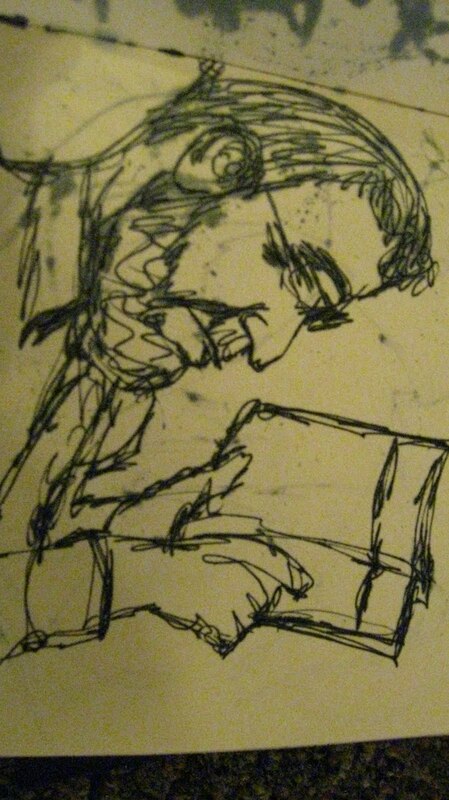 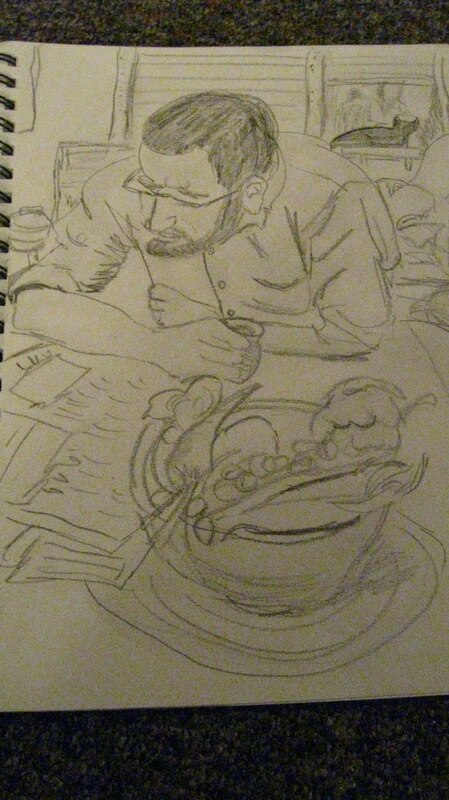 I’m trying to stay busy sketching various goings-on at home. 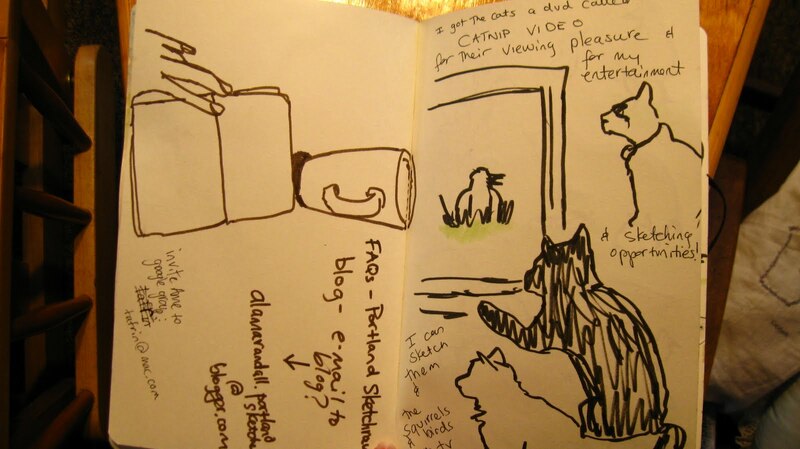 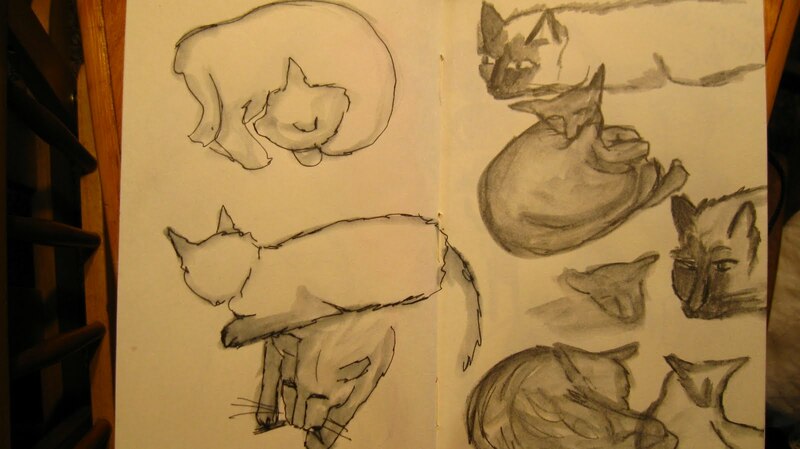 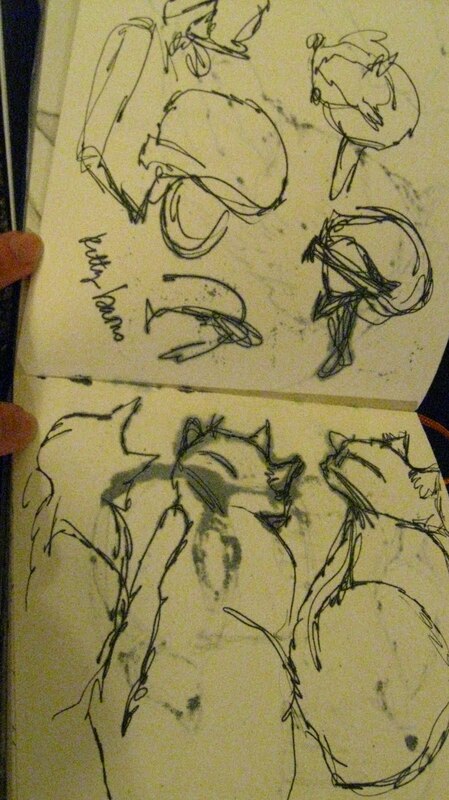 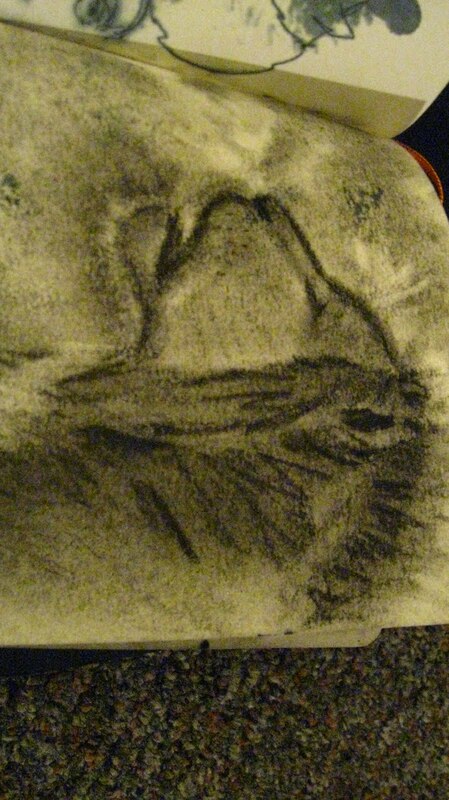 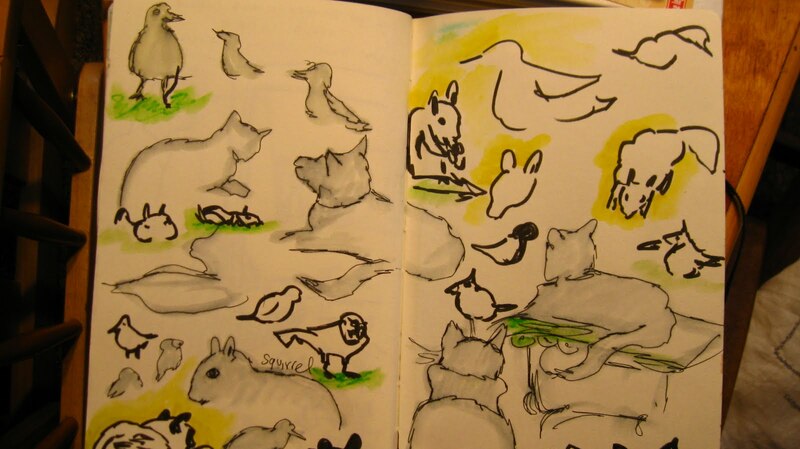 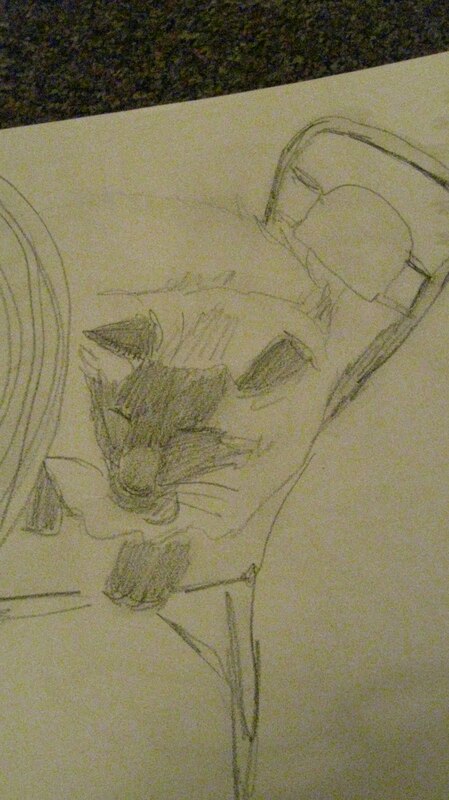 Like buying a video for the kitty boys and sketching the critters in the video and the kitties themselves. 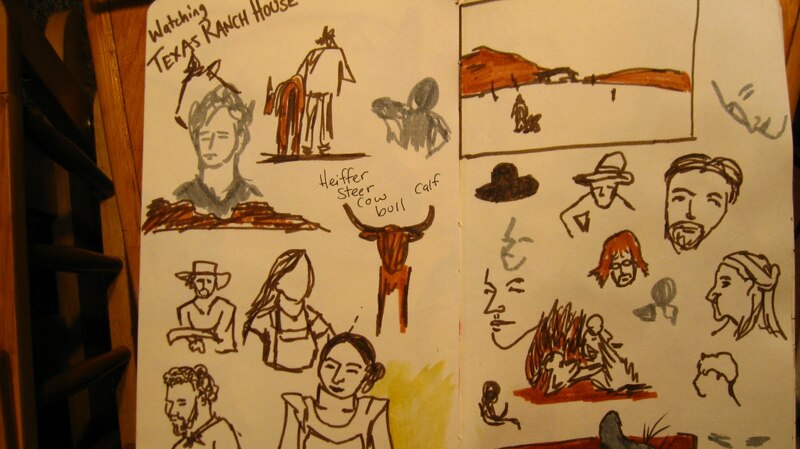 I’ve also been watching Texas Ranch House. 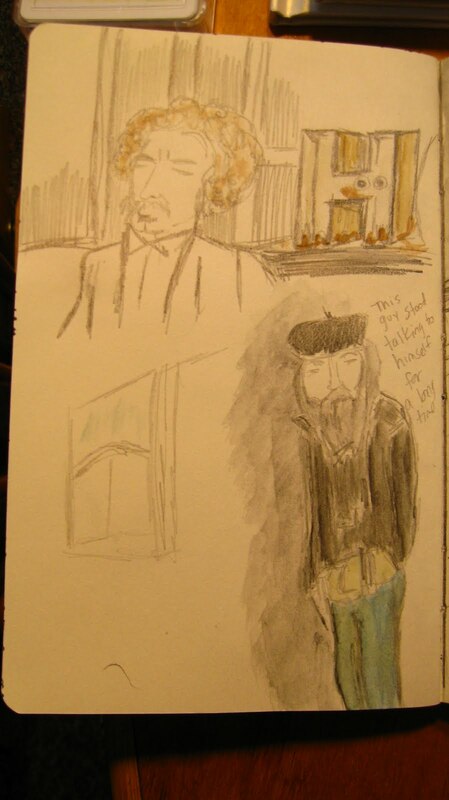 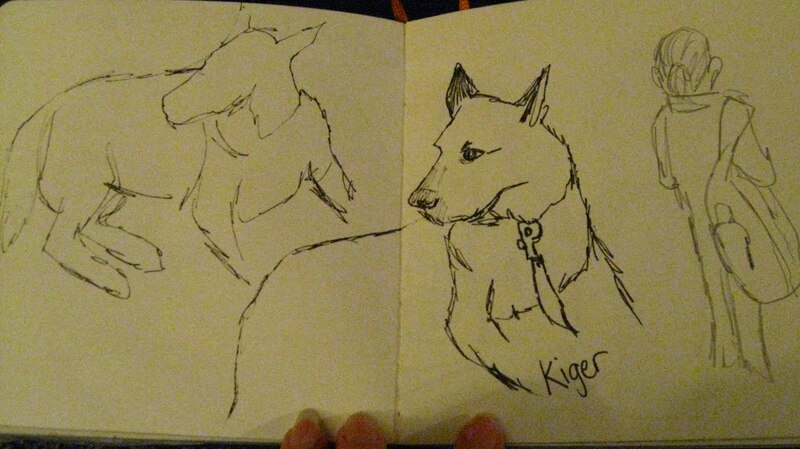 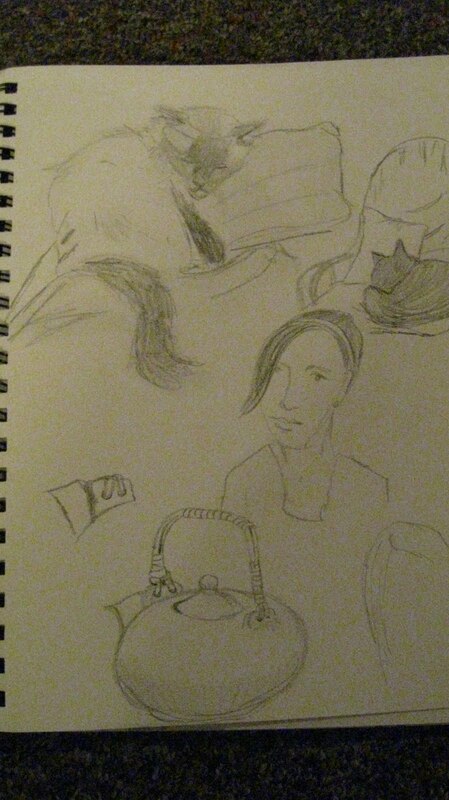 I did some sketches while watching…and while it was paused so T-boy could run out for some chips. 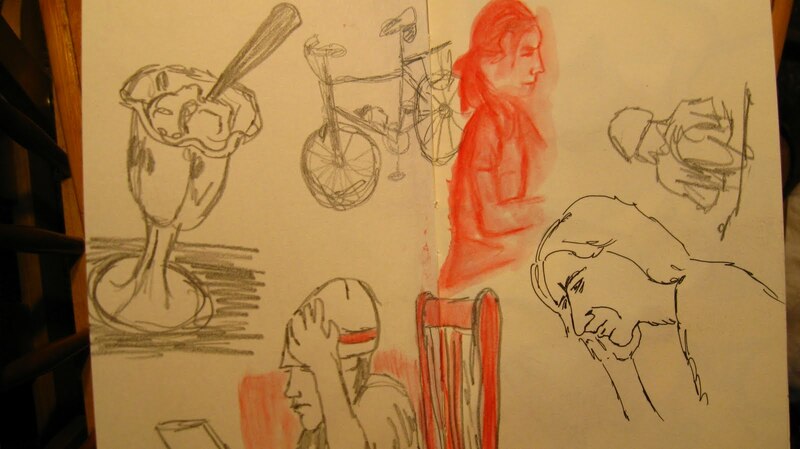 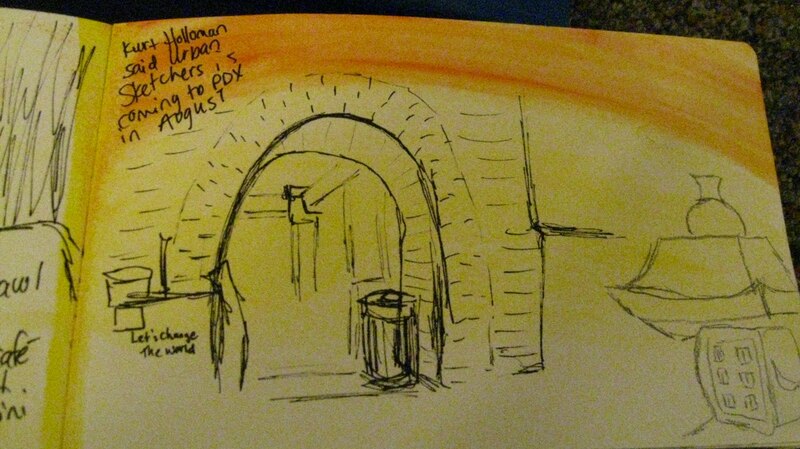 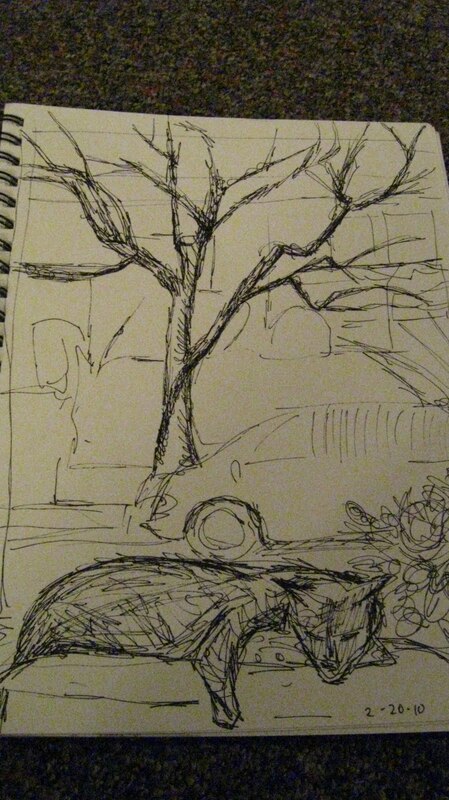 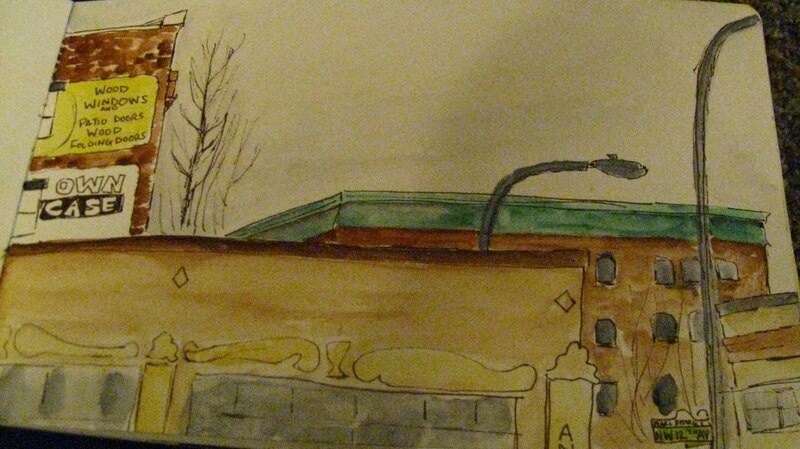 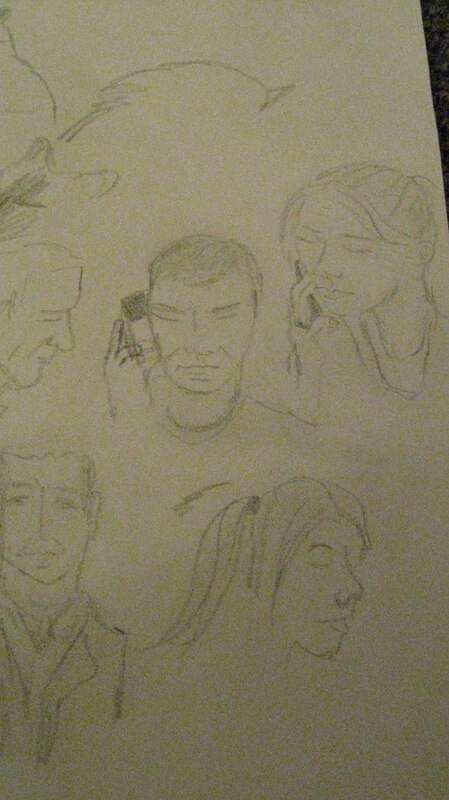 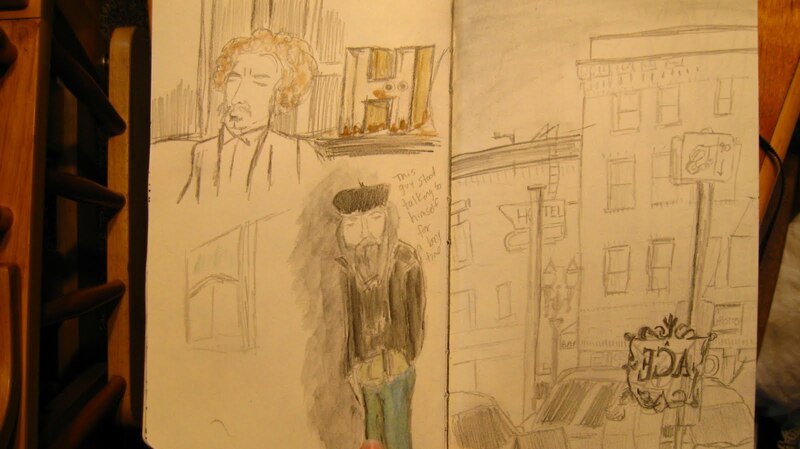 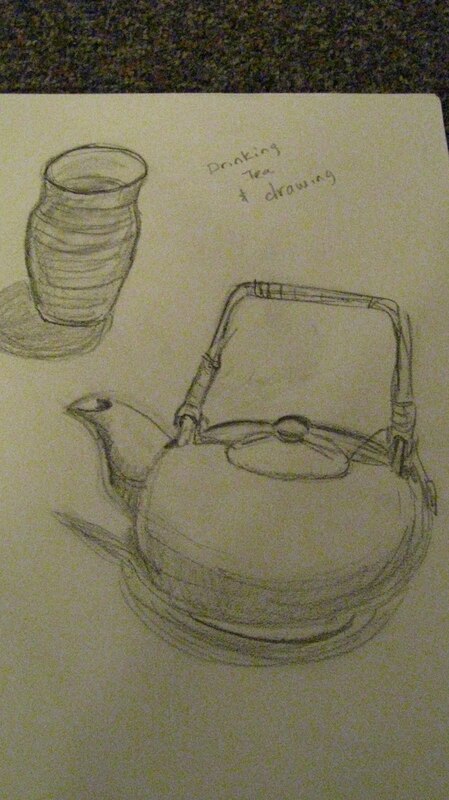 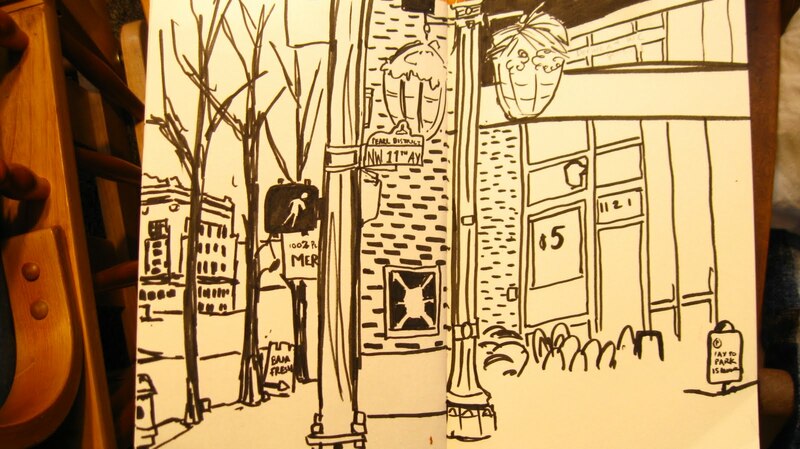 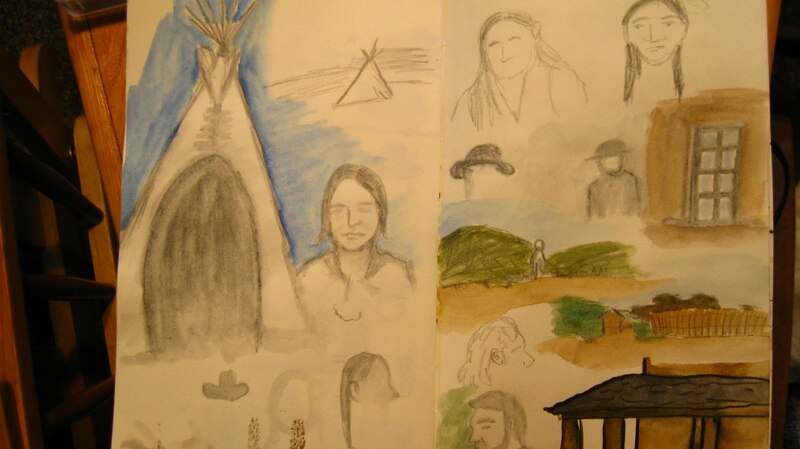 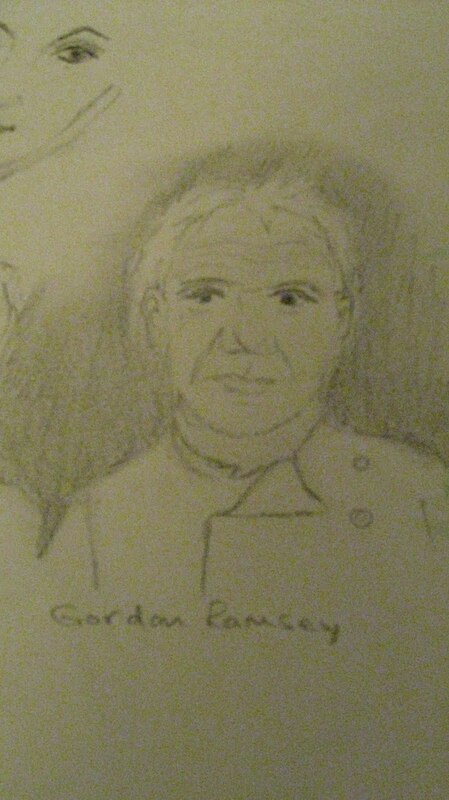 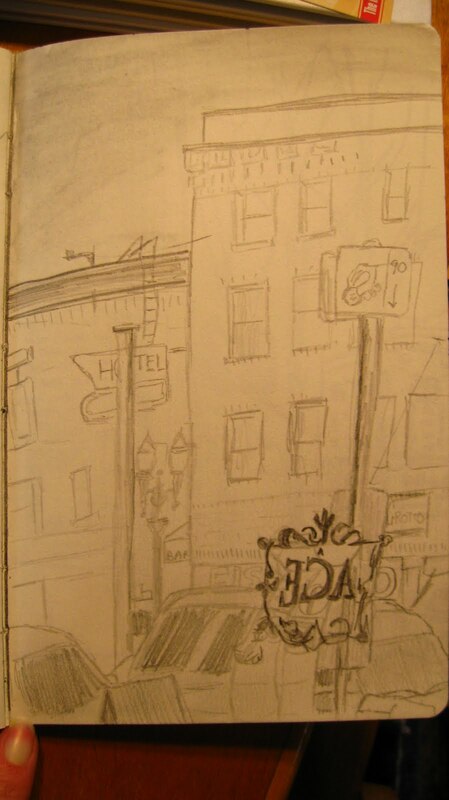 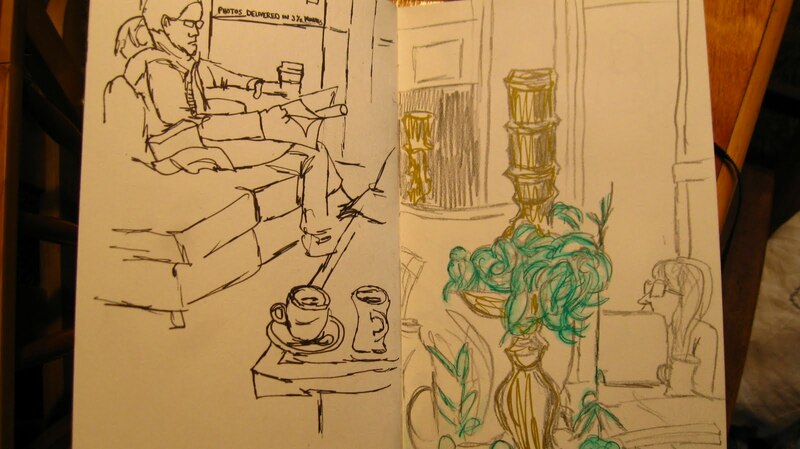 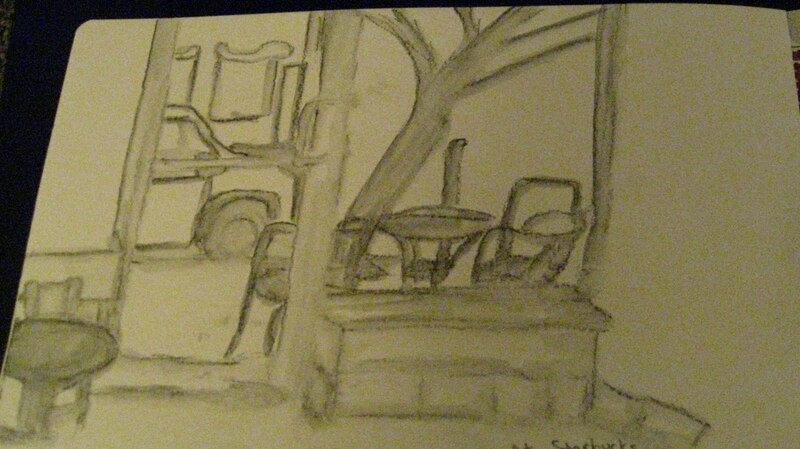 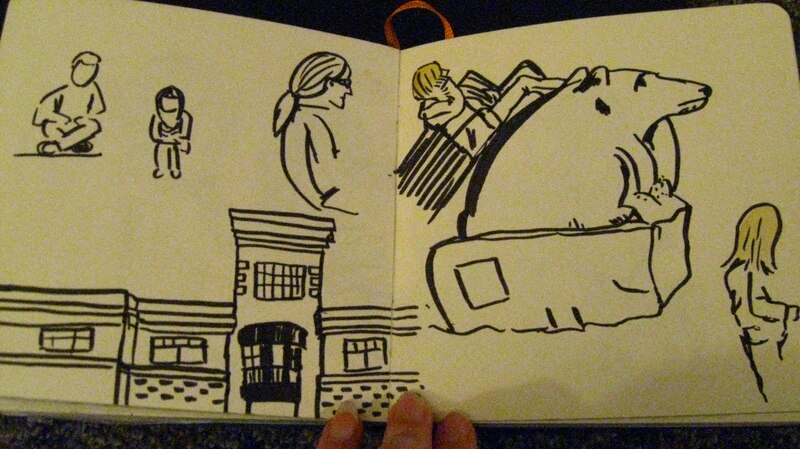 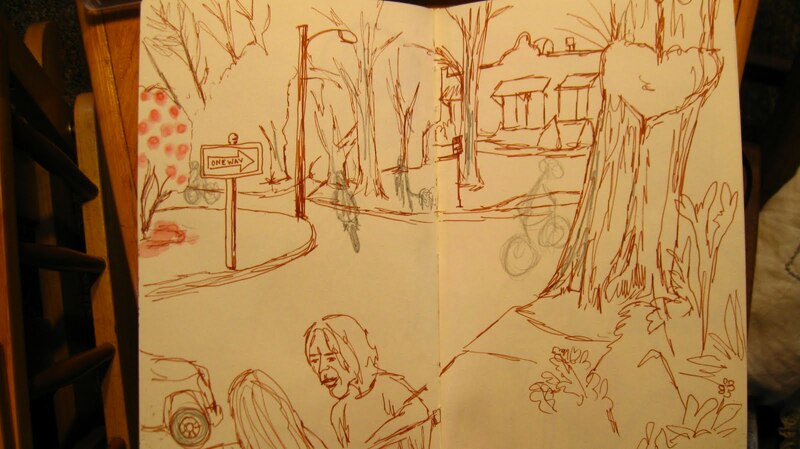 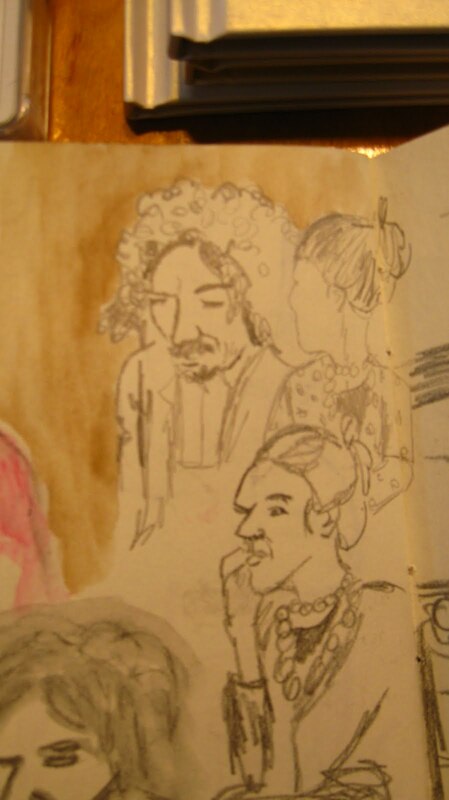 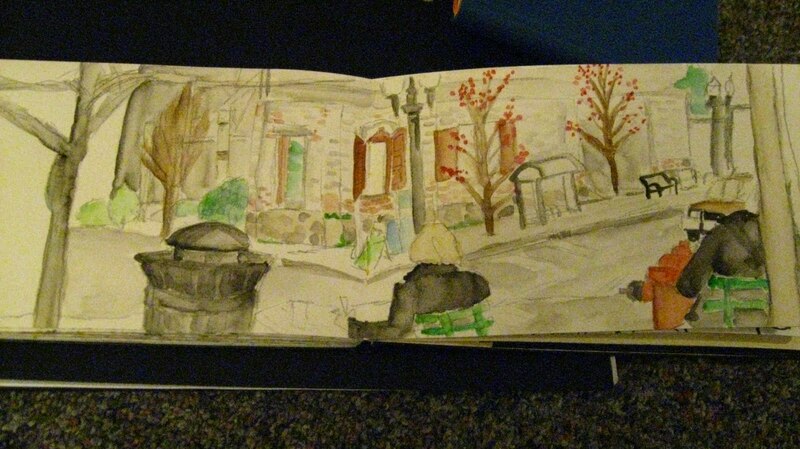 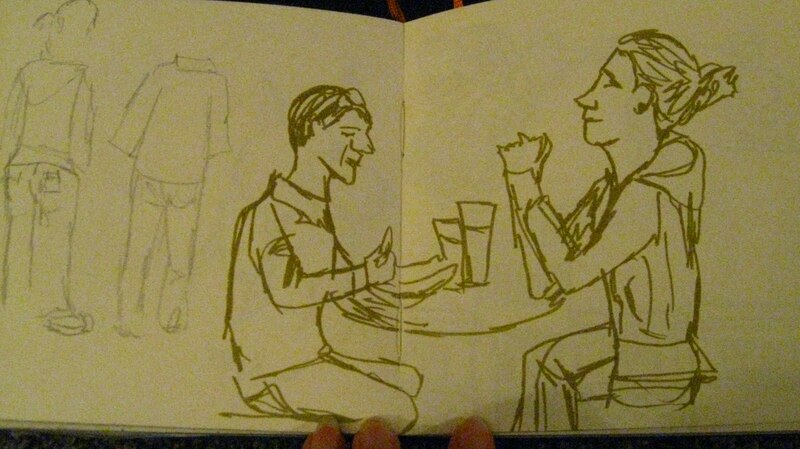 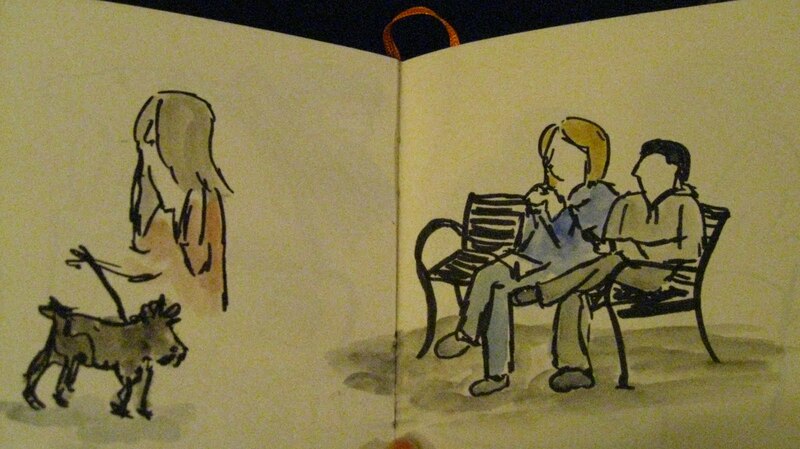 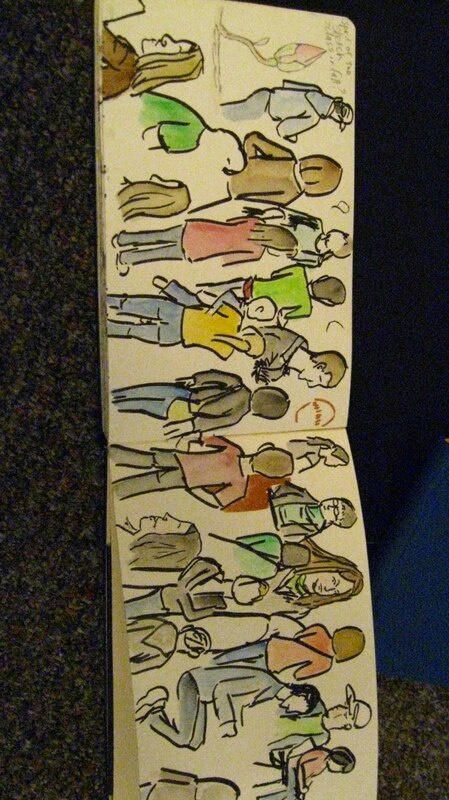 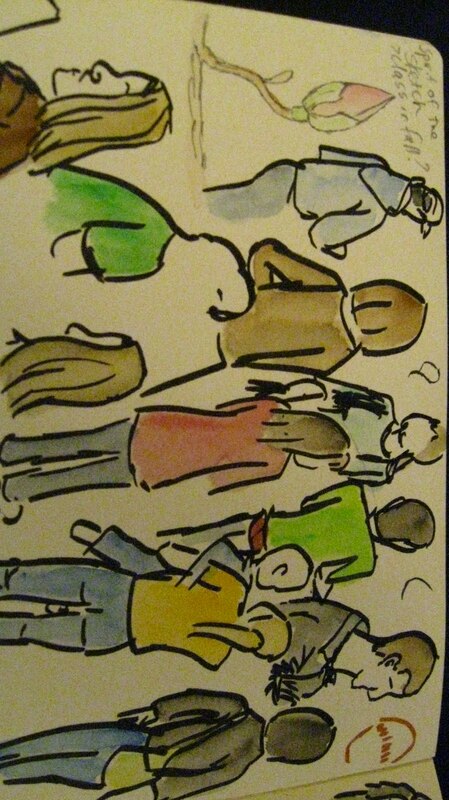 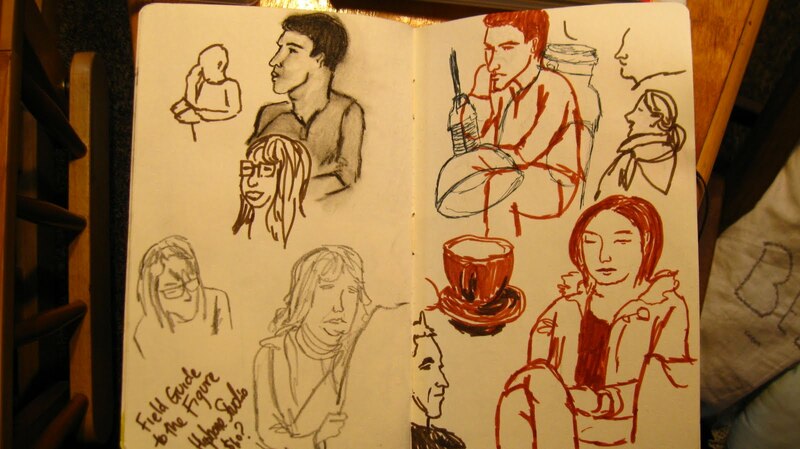 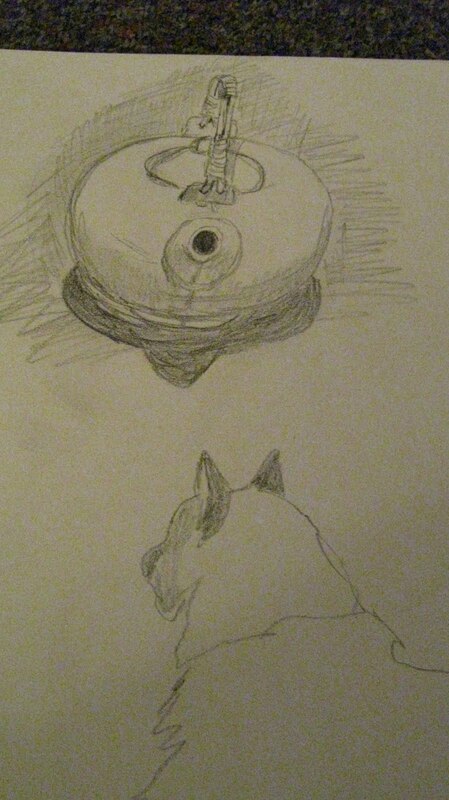 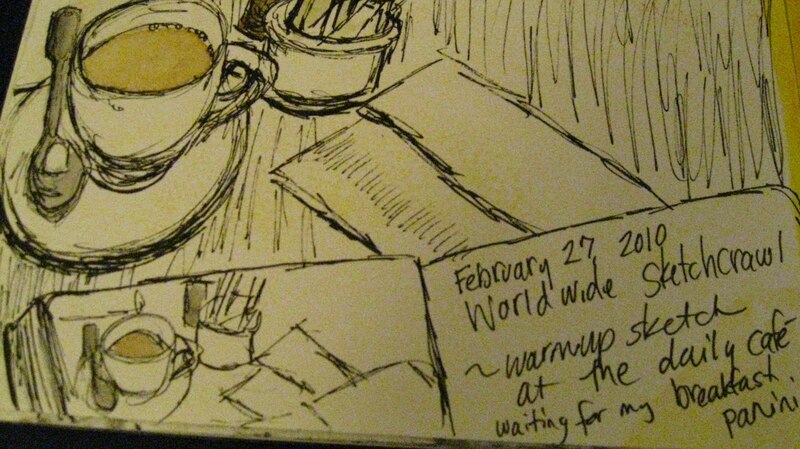 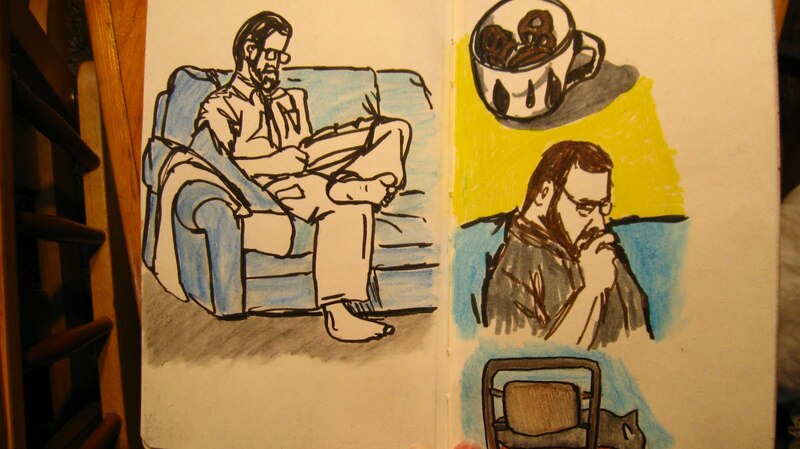 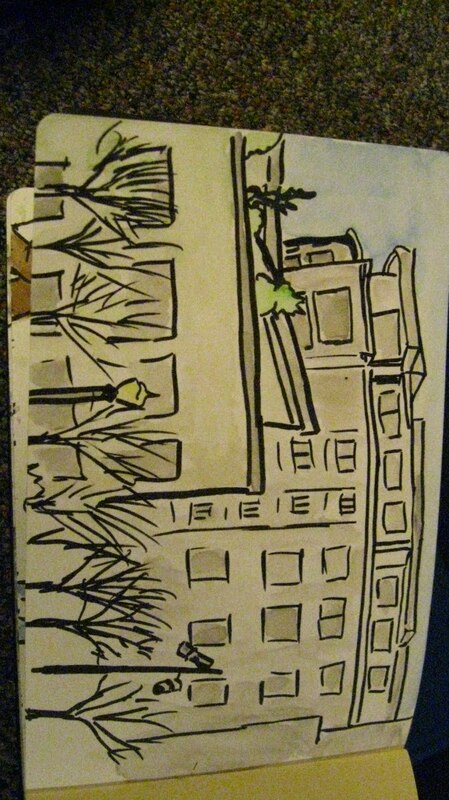 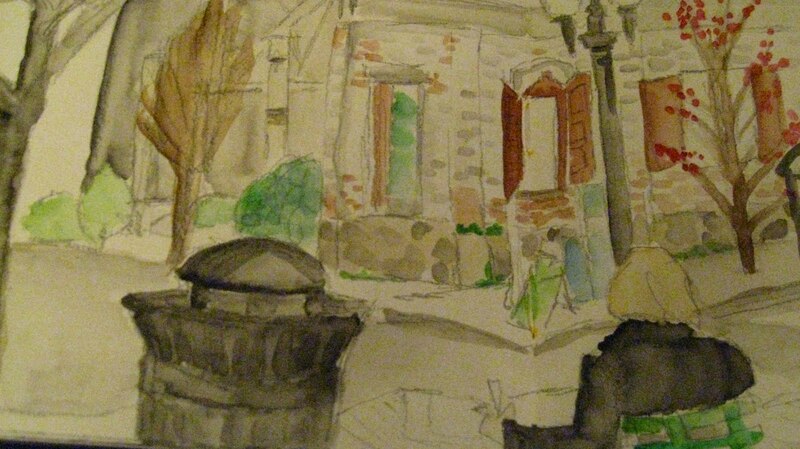 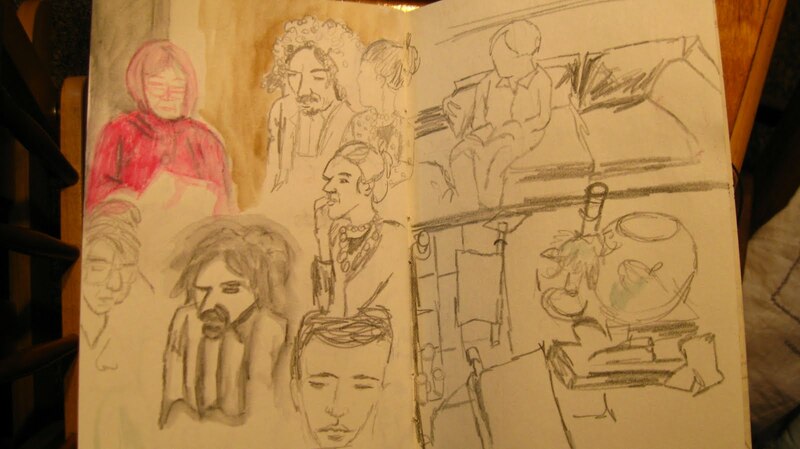 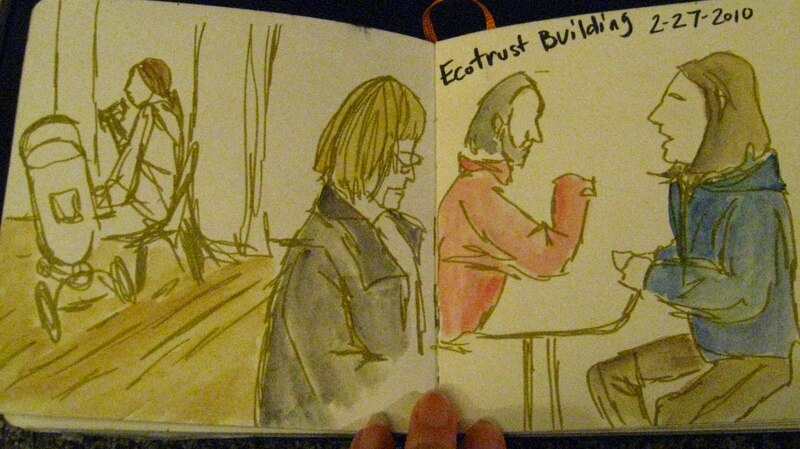 I’ve also done some sketches while sitting at Palio, a cafe in Ladd’s Addition. 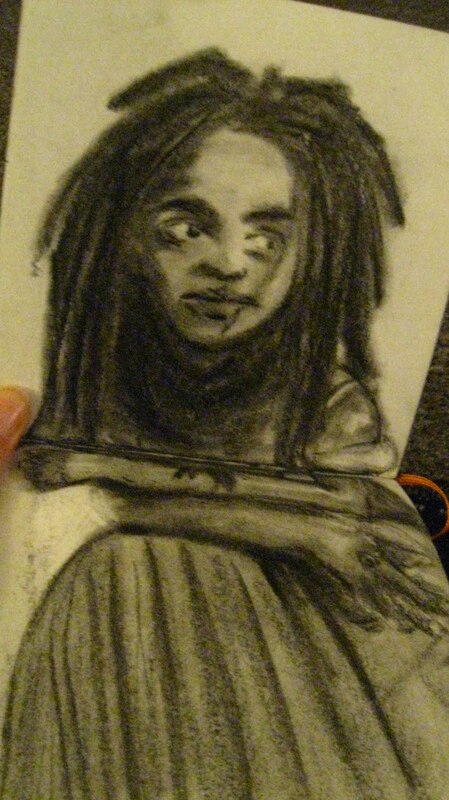 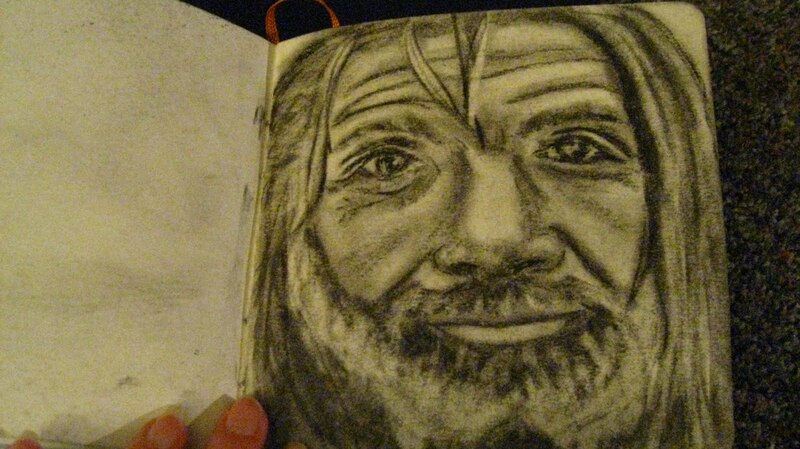 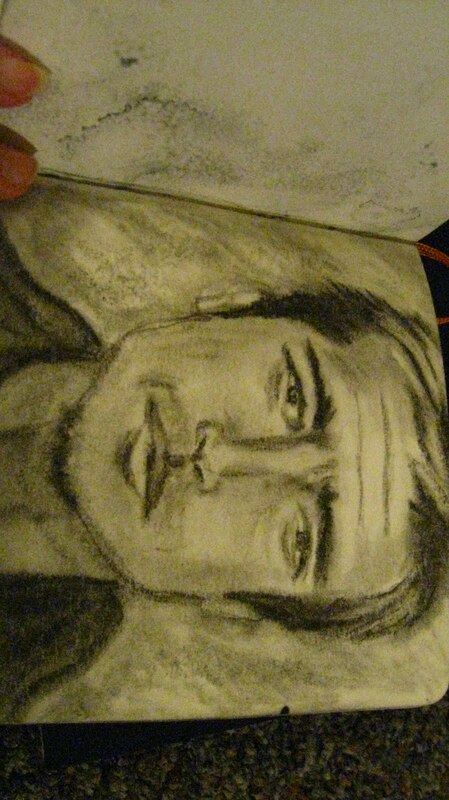 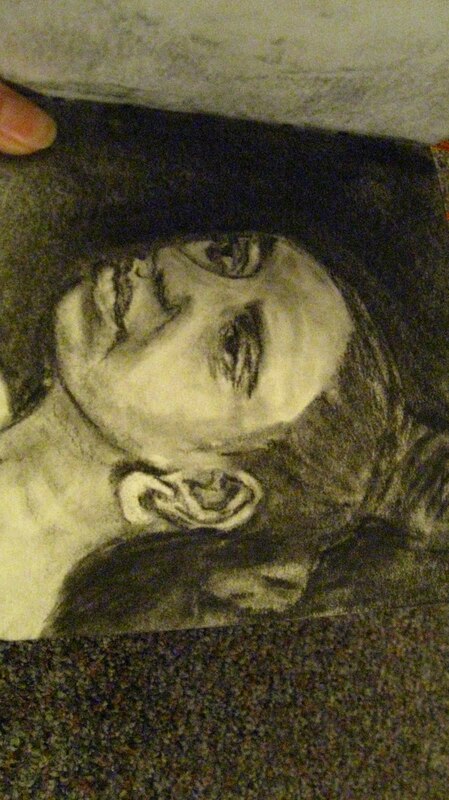 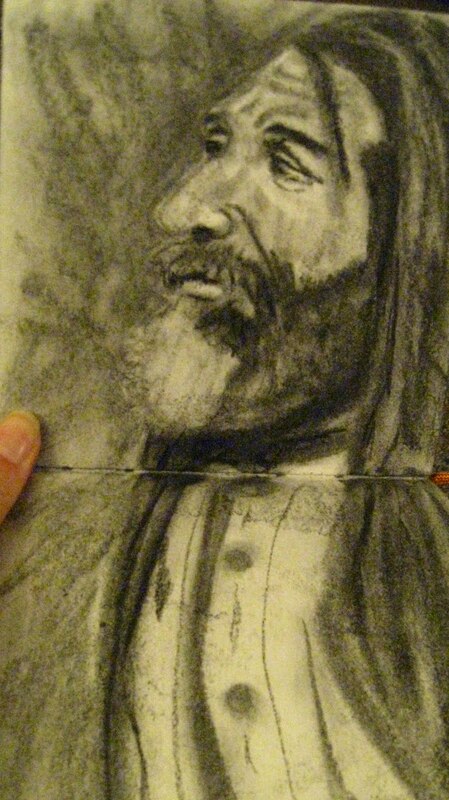 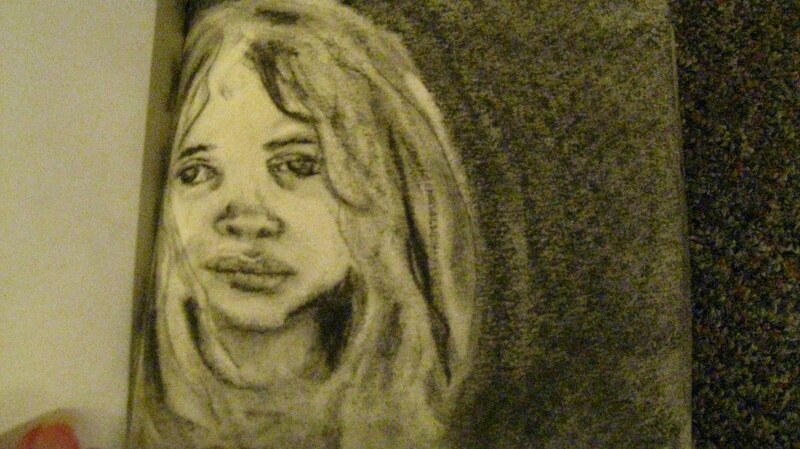 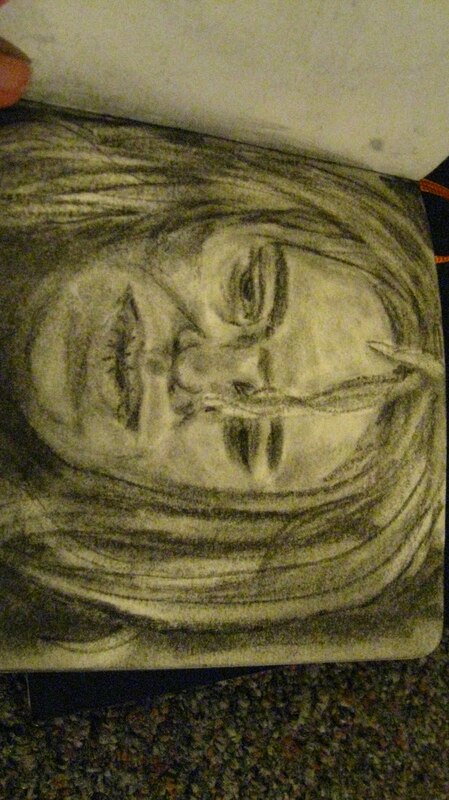 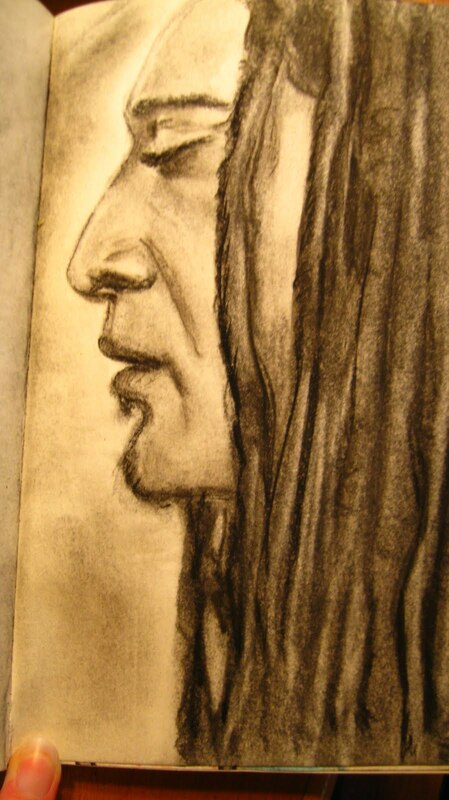 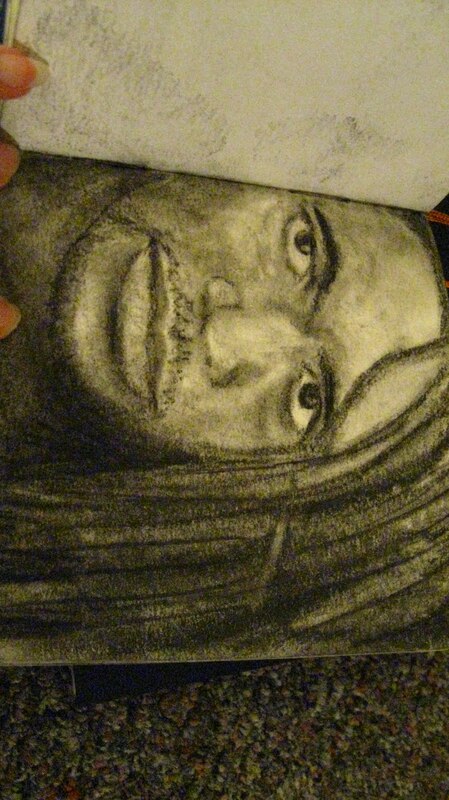 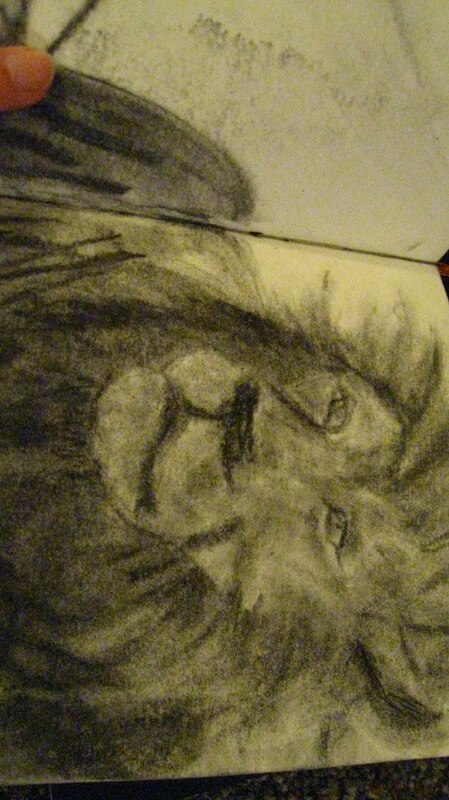 I like doing charcoal portraits from photographs. 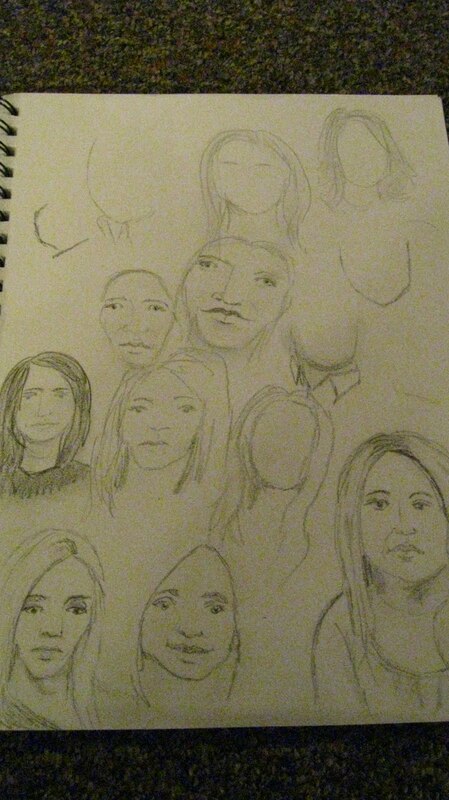 They are such great practice and I love the results! 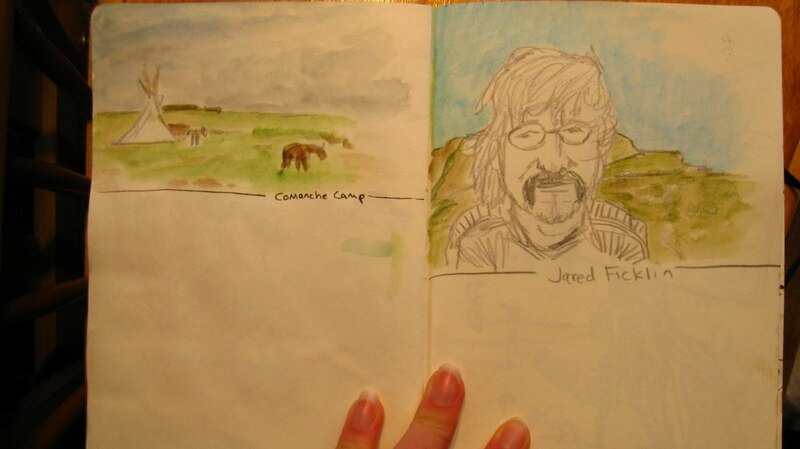 not sure why blogger insists on turning my pics the wrong way!